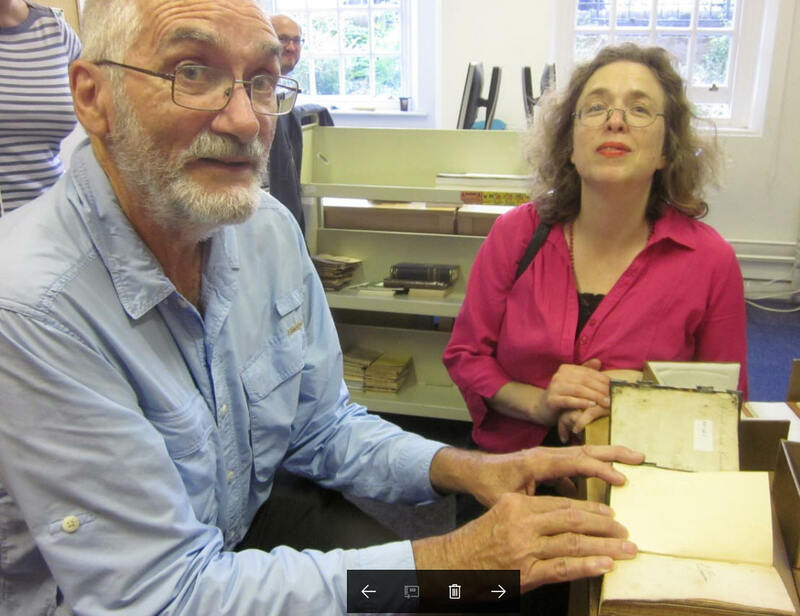 Abigail Green on right arranged a viewing of the Lousada prayerbooks at the library of the Oxford Centre for Hebrew and Jewish Studies on 24 May 2017. They were still in the cataloguing phase. The librarian Cesar Merchan-Hamann remarked when he met Julian Land on left 2 days later that the Bevis Marks donation was remarkable in large part for the family information often contained in the back and front pages of such books. In our case only the names survived.